The Regent rotatable fly tying vice from Veniard features spring loaded jaws and a rotating head. The Regent Rotatable is a quality fly tying vice. The Regent Rotatable Fly Tying Vice has a side grip lever action, which is a favourite amongst many fly tyers because of its simplicity. The vice is robust and very strong, with a fully rotational head and adjustable angle. Clamp model. 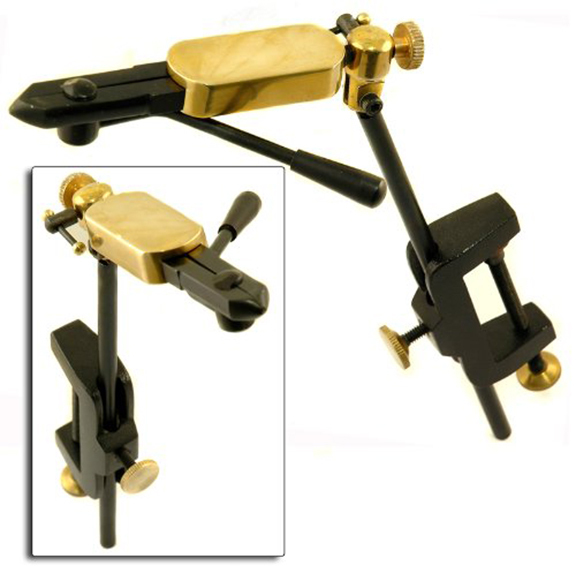 The Regent Rotatable is a fair quality fly tying vice that is a starter vice for many. Fully adjustable parachute tool which shares connector with the C&F Sight Plate.